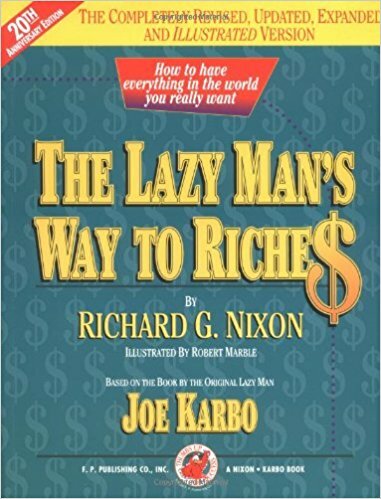 The Lazy Man's Way To Riches by Joe Karbo. The Offical Site. Discover the proven formula that shows you how to have everything in the world you really want! This Classic Success Program has changed the lives of people all over the world for well over 40 years. 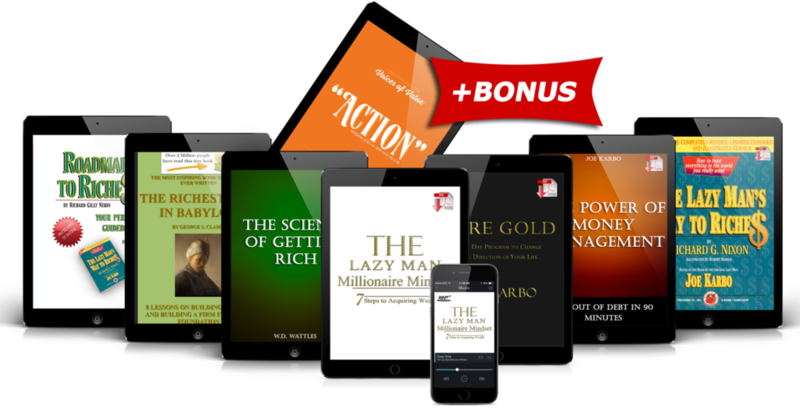 While most other personal growth and / or business success books fall in and out of favor, "The Lazy Man's Way to Riches" continues to be perhaps the most consistent and proven life changing program available. "Within every 18 months, I had built the company to a multi million dollar volume. Within five years I built to others up equally as fast – – equally as profitable… It's almost uncanny – Joe – – how effective your "LAZY MAN'S" formula really is… But I sure can't argue with the facts…"
"I bought the original book and the updated version by Richard Nixon in 2003 and it set me on the course of building several different businesses and millions in revenue over the last 15 years." The Lazy Man's Way To Riches is actually two books in one. Joe didn't believe in telling someone what to do, without ALSO showing them how to do it. When Richard G Nixon update and expanded this book, he embraced the same concept. Using his substantial business expertise Richard brought a new perspective to the Lazy Man's Way 20th Anniversary edition and include new exercises, motivational quotes and self development tools to the book. 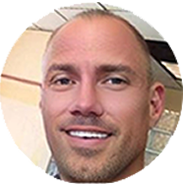 The Lazy Man's Way To Riches books give you the road map to riches by introduction you to the very same Dyna/Psyc methods Joe used to literally turn his entire life around and become a millionaire in less then a year! Chapter 6: How Long Will it Take? Chapter 8: Where Are You Now? Order Your Copy of The Lazy Man Today! Due the phenomenal success rate of people using the methods taught in Lazy Man's Way To Riches, counselors and therapists use the methods in this book to teach personal growth and self reliance. And because of the business lessons, it's also widely used in Business Schools all over the country. 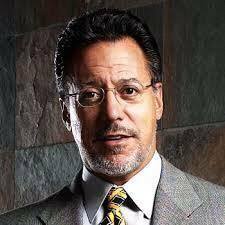 The principles of Joe's success are as relevant in today's world as they were when he first created the program. Stop waiting for the life you want. Order now and create the life you truly desire! 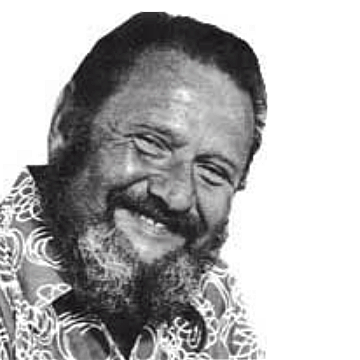 He later co-founded Radiographic Development Corp. (RDC) a medical X-ray manufacturing company that he took public. He also served as a business consultant and seminar leader for a diverse variety of businesses and became a world-renowned motivational speaker and author. 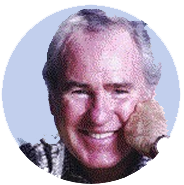 After retiring, he took his mentor Joe Karbo’s original bestselling book, The Lazy Man’s Way to Riches, and updated and expanded it. The first printing wad Self Published but it quickly became sought after by major publishers. It was published by Penguin Classics in 1995, and The Lazy Man Version 3.0 was published by Wiley in 2002. Joe Karbo was renting a ramshackle house in a bad neighborhood along with his wife and eight children. He was $50,000 in debt. At 40 he was advised to declare bankruptcy, but decided to pay back all his debts. Ten years later he was a millionaire largely in part thanks to the lessons contained in this book. 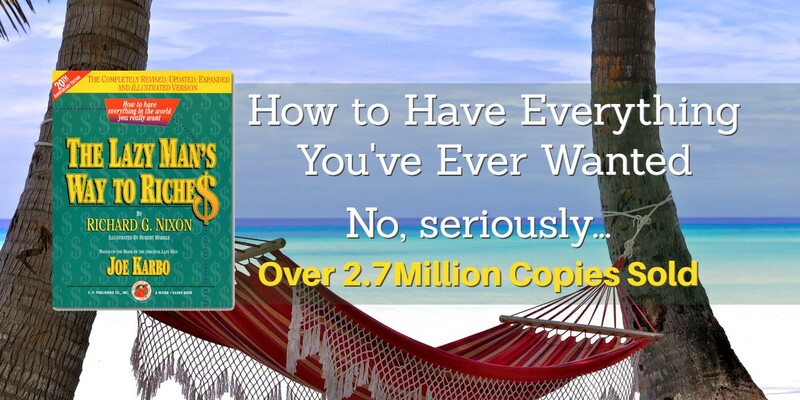 The Lazy Man’s Way to Riches Success Program has shown millions of people the way and the method for having everything they want in life for over 40 years! "Never Before Released" items from our exclusive archive! Copyright © - The Lazy Man's Way To Riches ® - All Rights Reserved World Wide.